How do you fancy a fragrant Thai soup, packed with fresh veg and made delicious creamy thanks to some coconut and a dash of cream? 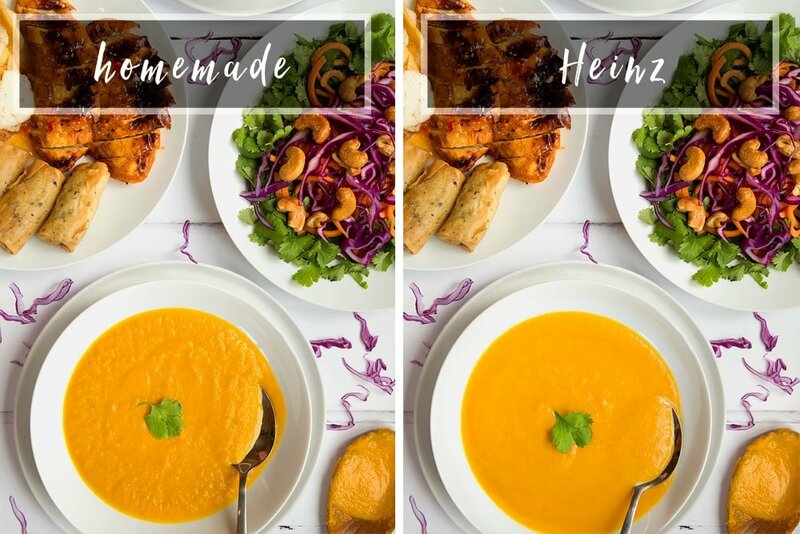 You’ll find my homemade recipe below, and right at the end I compare the homemade version to a similar Heinz soup – read on to find out which scored highest! Here’s how to make this deliciously fragrant Thai carrot and coconut soup. Add the oil to the pan over a medium-high heat until oil is shimmering. Add the diced onion, garlic and Thai curry paste. Fry gently until onions are soft and light brown in colour Add the carrots and celery and fry for 2-3 minutes. Add one stock cube and 350 ml (11.3floz) of boiling water to the pan. Stir, cover and simmer gently for 20 minutes. 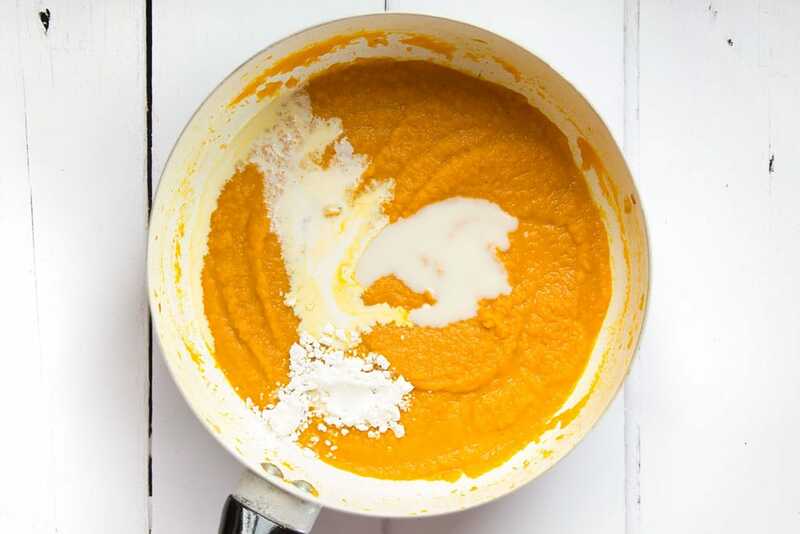 Take the soup off the heat and blend it to an almost- smooth consistency. Add the coconut cream, single cream and cornflour and stir through. Take the pan back to a gentle heat and let it simmer for 2 minutes. Add a touch more boiling water if it seems too thick. Pour into a bowl, add a small pinch of salt to taste. This one is NOT homemade! It’s from a carton. Now we all know that ‘tastes like it was homemade’ is a compliment packaged food producers strive for, but for the first time, I’ve been asked by Heinz to really put that to the test by running a side by side comparison of one of their products against a homemade version! Heinz Soup of the Day comes in six fresh tasting varieties, each with distinctive packaging and plenty of flavour. 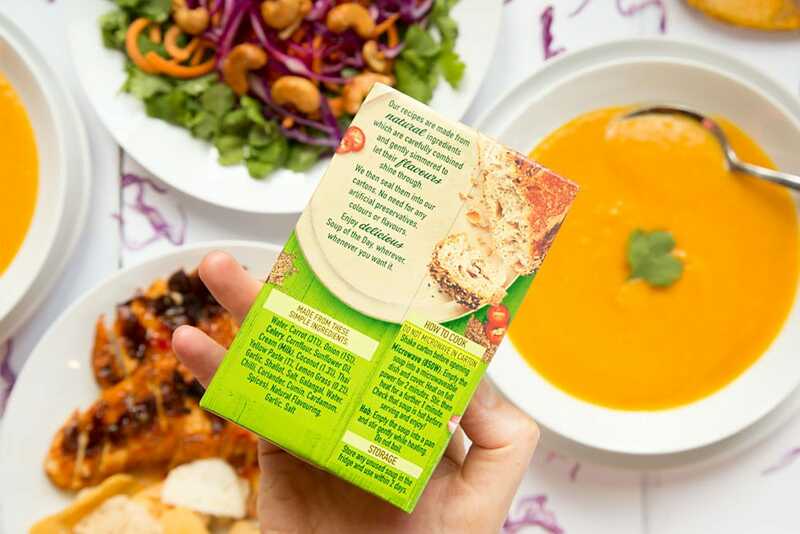 The cartons don’t need to be kept in the fridge, and they‘re all made with natural ingredients and no artificial flavours, colours, preservatives or added sugar. For the fairest comparison possible, I pitted my homemade soup against Heinz Soup of the Day Fragrant Thai Carrot and Coconut. The test was simple enough. 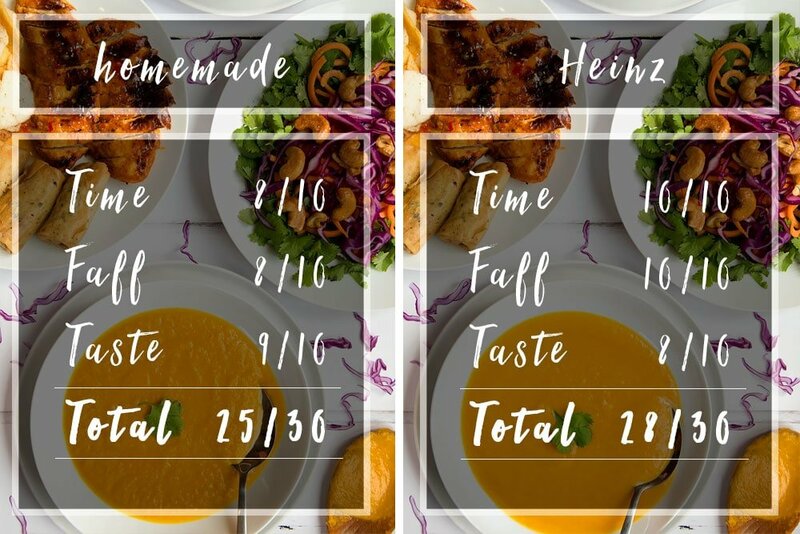 The homemade soup uses a very similar set of ingredients to the ingredients in the Heinz Fragrant Thai Carrot & Coconut carton, so all that was left to do was to taste each of my deliciously fragrant bowls of soup and judge them based on three key criteria. My homemade soup took just 5 minutes to prep, but around 25 minutes to cook. Heinz Soup of the Day required no prep, of course, and heated in just 3 minutes. Clearing up my homemade soup took 5 minutes (board, knife, spoon, pan, blender, bowl, spoon), cleaning up after a bowl of Heinz Soup of the Day took 1 minute (bowl and spoon). Homemade still gets a high score, as anything that goes from scratch to ready to eat in 30 minutes is great in my book, but Heinz gets full marks for being just about a quick as any hot food can be. I adore cooking and never really think of it as a chore, and with only 5 minutes of prep time, there was very little faff in making the homemade soup, so it scored well. However, strictly comparing the effort involved in shopping for the ingredients, peeling and prepping etc, versus the ease of popping the Heinz soup in the microwave means Heinz just pips homemade to the post with full marks yet again. Taste-wise, the difference between the two heated soups was far more subtle than I expected it to be. 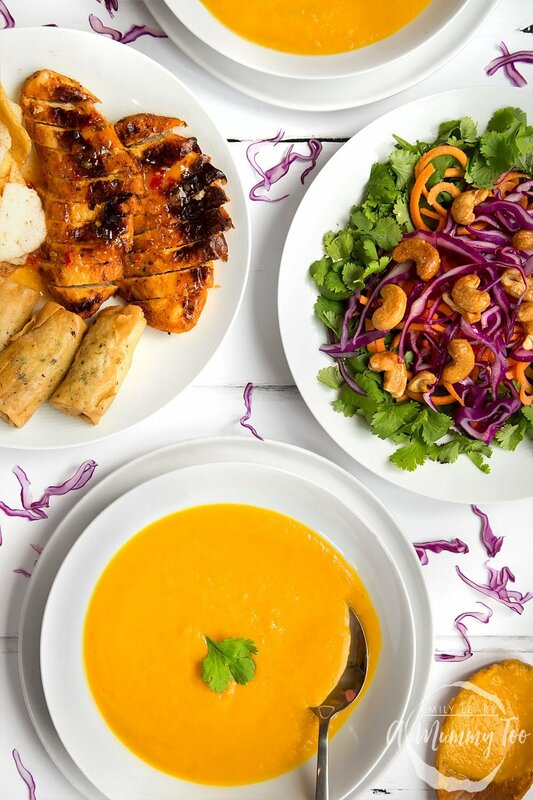 Both bowls gave a distinct nod to Thai flavours, and in both bowls the creaminess of the coconut and sweetness of the carrot blended perfectly. 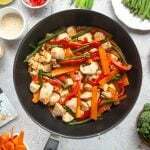 Although both excellent, I feel the flavour for both could have been elevated further with totally fresh, authentic Thai ingredients and methods, but that’s a very minor niggle as my blog is all about recipes that manage to be delicious without requiring you to trek to specialist shops. I slightly preferred my homemade soup, but mainly because I had full control over the final texture and seasoning to make it just how I like it. The carton soup was just as fresh tasting and delicious tasting, so there was very little to separate them. When you’re in a hurry, time and faff are big factors, but you still want to eat something tasty. While I love the taste of a freshly cooked meal, it’s clear that Heinz Soup of the Day is a brilliant option when, for example, you want something tasty for lunch but have very little time to spare. 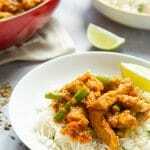 Or perhaps on nights when you’re looking for something healthy and tasty for your family and you don’t have much time to cook, but you really want to feed them something made with only the type of ingredients you’d use yourself, free from artificial colourings, preservatives and no added sugar. Well done Heinz for putting their products out for judgment like that – very brave! 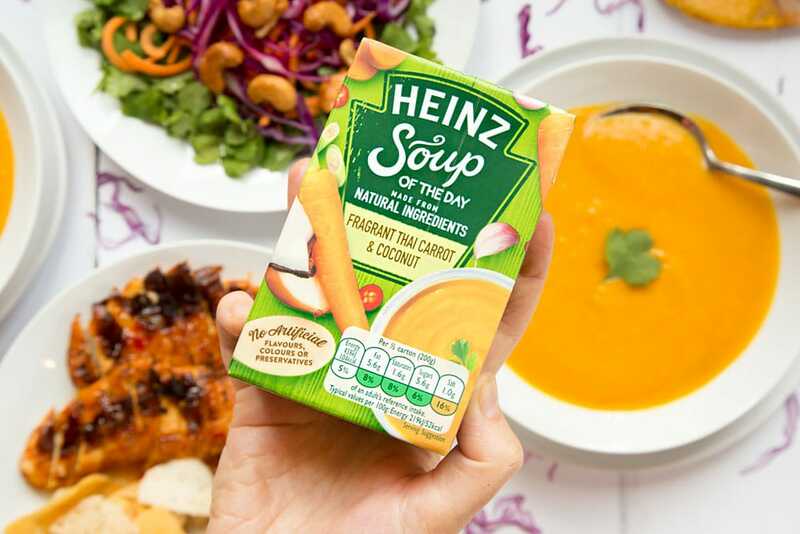 Have you tried the Heinz Soup of the Day range? What’s your verdict? And if you’d like that homemade fragrant Thai carrot and coconut soup recipe for yourself, here it is in a printable format. Just click PRINT on the recipe card below. 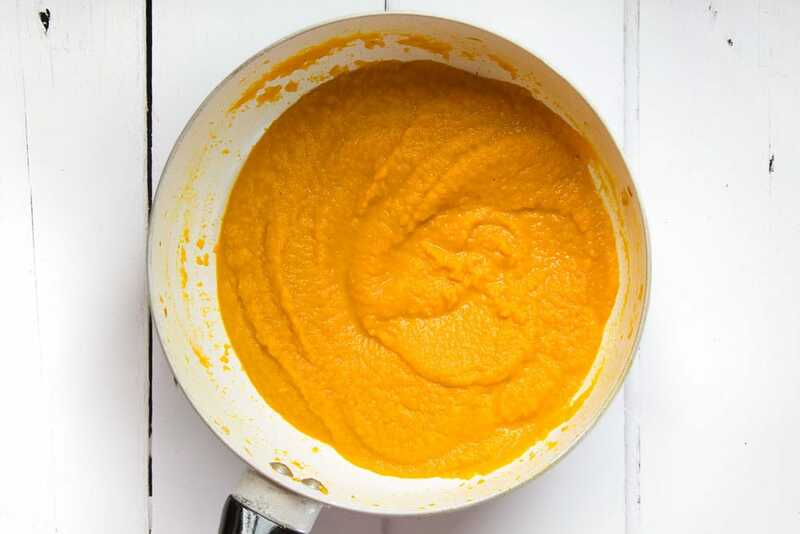 A healthy and quick Thai carrot soup with spicy Thai yellow curry paste and mellowed out with coconut cream for a wonderfully rich flavour. 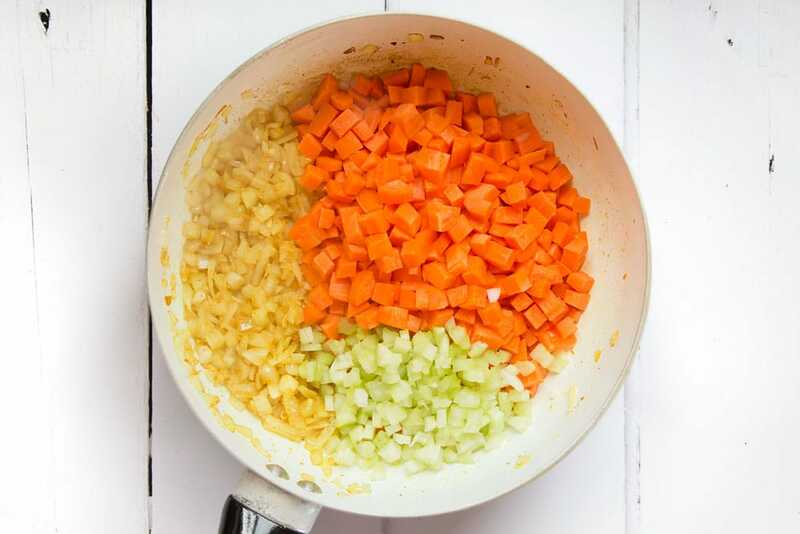 Add the oil to the pan over a medium-high heat until oil is shimmering. Add the diced onion, garlic and Thai curry paste. 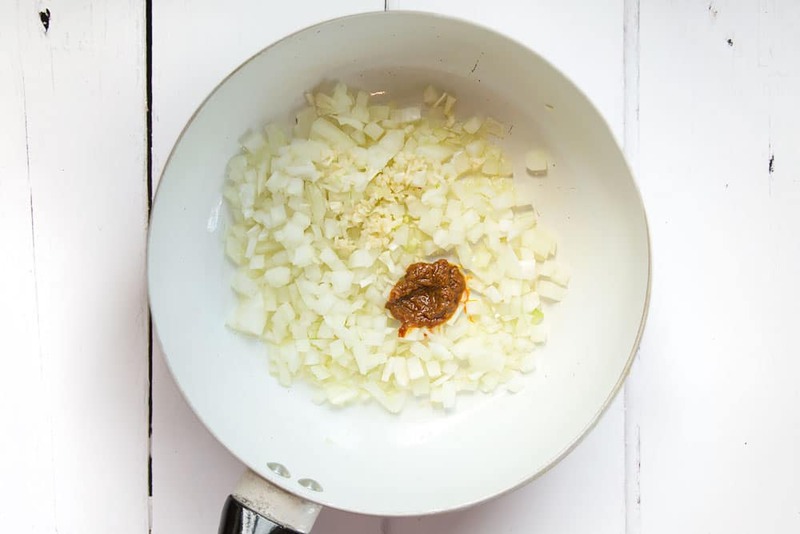 Fry gently until onions are soft and light brown in colour. 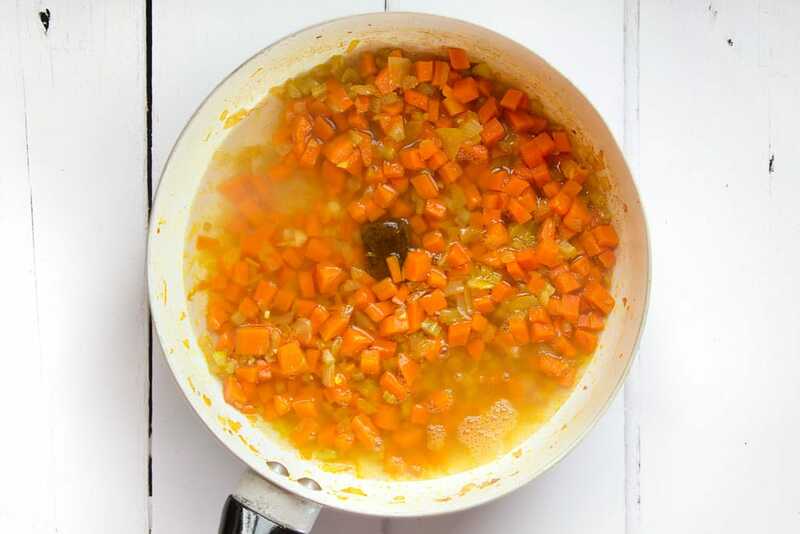 Add one stock cube and 350 ml (11.8floz) of boiling water to the pan, stir, cover and simmer gently for 20 minutes. 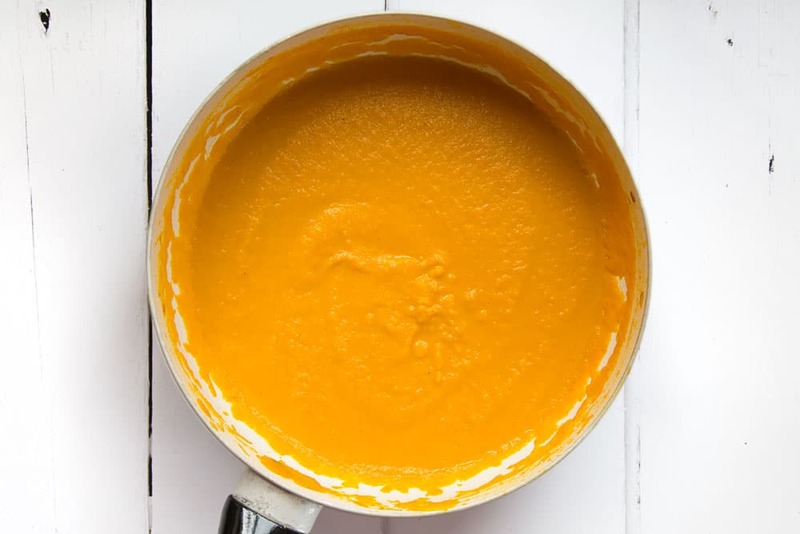 If you loved this fragrant Thai carrot and coconut soup, why not head to my soups recipe index for more ideas and inspiration? This is a commissioned post for Heinz. This looks so tasty and refreshing too! Love the colour! I honestly wish you could come and cook for me everyday! Thank you! I love Thai food and this soup gives a distinct nod to Thai flavours where the creaminess of the coconut and sweetness of the carrot blend perfectly. Interesting. I thought the homemade soup would have had more intense flavour. Nonetheless, I look forward to trying your recipe! It’s good to know that this Heinz soup is a good alternative to a home made soup for the days you’re on the go. 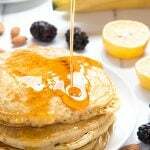 I am loving the whole range and although homemade will always have a slight edge, these taste great and they are so convenient. I’ve not tried Heinz Soup of The Day but have absolutely no shame in using shop-bought. Unfortunately I completely missed out on the ‘love cooking’ gene! Heinz is a brilliant alternative for when you don’t have much time but are craving a warm bowl of delicious soup! We love this time of year when all the hearty soups come out and we’d love to try this. Anything with cream and coconut in which is thick and creamy sounds good for us! I love carrots and coconuts so I am sure I would love this soup. It’s always handy to have ready soups at home! 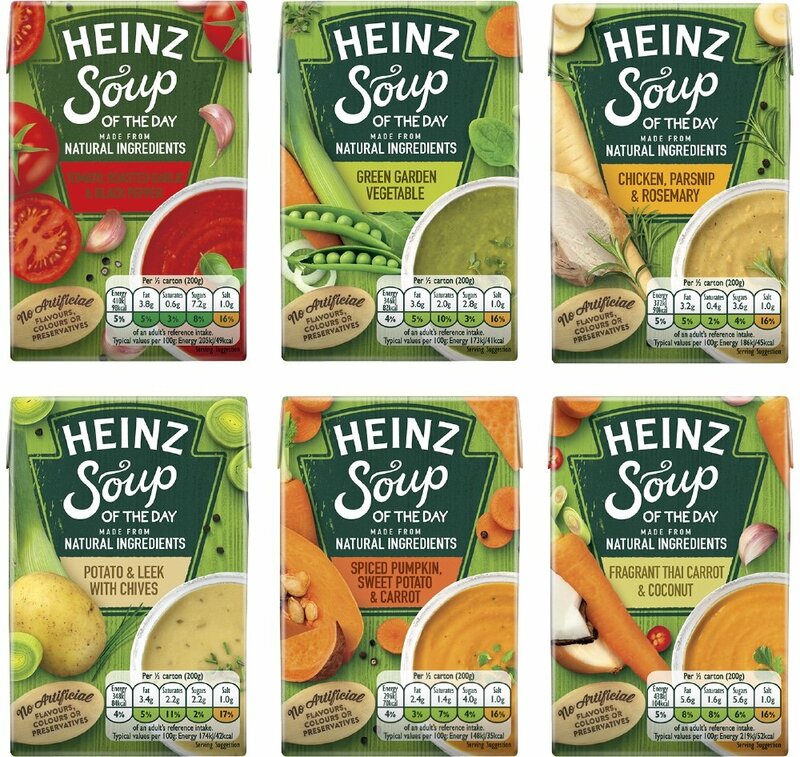 The Heinz Soups look fantastic and such a great range of flavours. I do think that sometimes you cant beat a homemade soup though especially as you say like a thai flavoured one! Oh I LOVE Thai food but have never tried this before! I’m not usually a fan of carrot soup but the coconut makes it sound delicious! That Thai soup looks scrumptious, would love to try making this someday. A warm bowl of soup would be great especially on cold weathers. This looks absolutely delicious and I shall definitely try it out. Will pick up a pack next time I am in a supermarket, but will also try the homemade one too. This Thai Carrot Soup looks so delicious and is perfect for chillier nights. 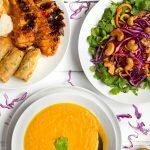 Thai cuisine is one of my favourites so I love the sound of this homemade Thai carrot and coconut soup . It looks divine! 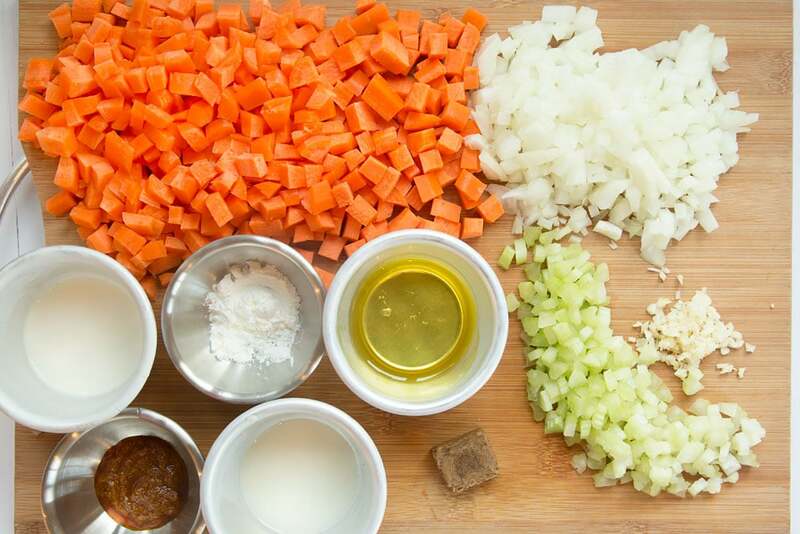 Interesting and very tasty looking soup….and the fact it can made quickly and simply is a huge plus. I have to admit I’ve not tried the Heinz Soup of the Day but it looks like they are quick to make and tasty as well – I am awful at cooking so I will perhaps have to give buying some a try. This looks amazing!! Yum. Thanks for sharing. This soup sounds so warming and comforting – perfect for this time of year!